This is a sponsored post on behalf of Kidbox and The Motherhood. 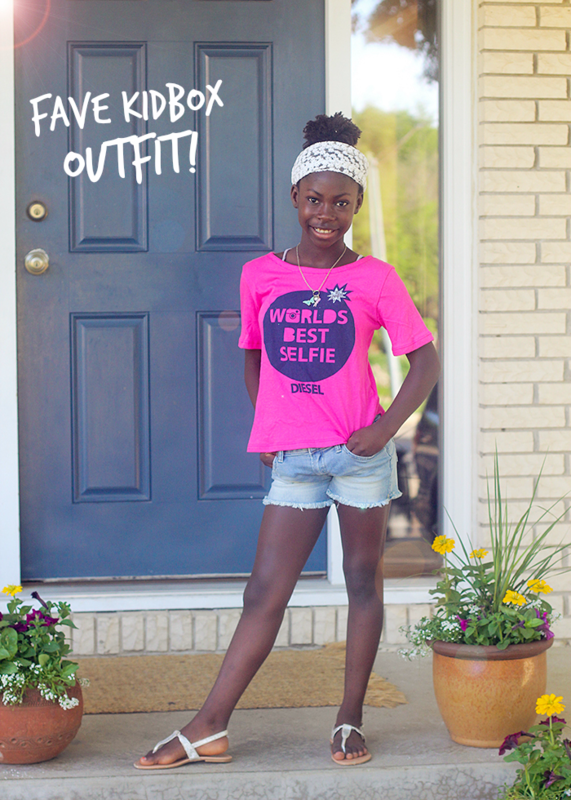 Introducing the first kids’ style box that combines cool brands, meaningful savings and a mission to clothe children in need! Kidbox style delivery service features 6-7 pieces of in-season clothing delivered straight to your doorstep. Not only is this convenient for mom and dad who don’t have to spend hours in crowded shopping malls with kids, but this is fun for kids too! 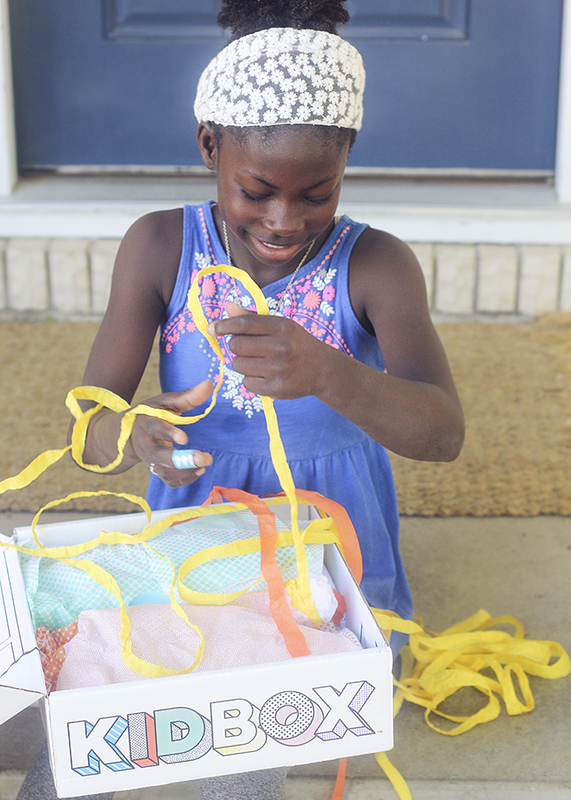 Watch as Priscilla opens her Kidbox. Each Kidbox is full of surprises. Priscilla opened up her box to a coloring packet, crayons and a surprise ball! Step 2: Fill out a profile for your child that includes questions about their style, preferences and do’s and dont’s. Step 3: Sit back, relax and the kidbox will be here soon! Step 4: Unbox the happiness! Step 5: You have 7 days to decide—keep what you like and return the rest. Or, keep the whole box for only $98 (size swaps are free). For every Kidbox purchased, a new outfit is delivered to a child in need. You and your kiddo can make a huge impact together by choosing which cause you feel most inspired to help. 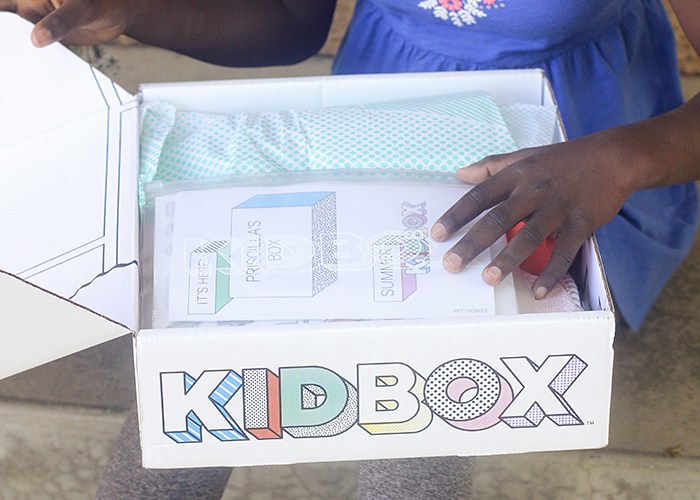 Once you select your cause, Kidbox donates new clothes to a child in need. How amazing is that?! This service is convenient, stress-free, fun for your child, cost effective and gives back! 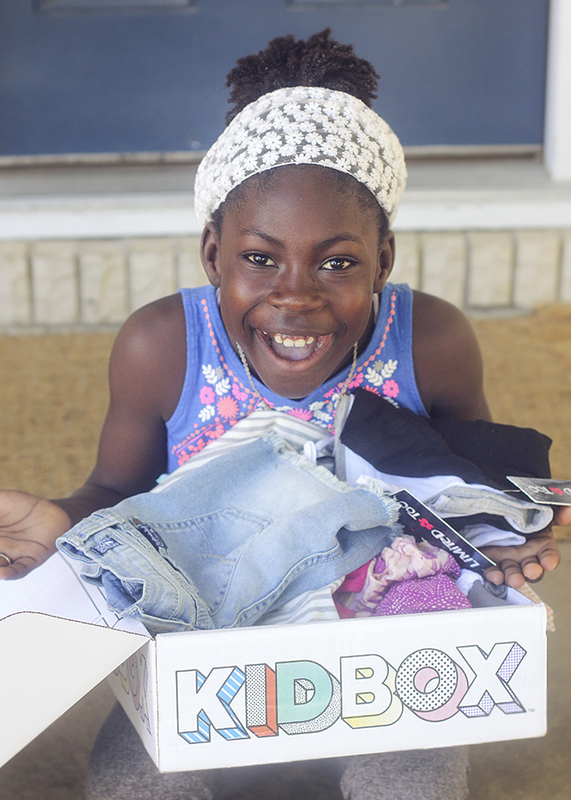 To share the joy unpacking happiness together, Kidbox is giving away a year of clothes to one winner each month, plus each month they will gift outfits to an additional 5 children in need. What a cool service, I hadn’t heard of that before. I’m on board with anything that means I don’t have to go to the mall.